I can’t remember how many times I’ve visited the Imperial War Museum in Lambeth. 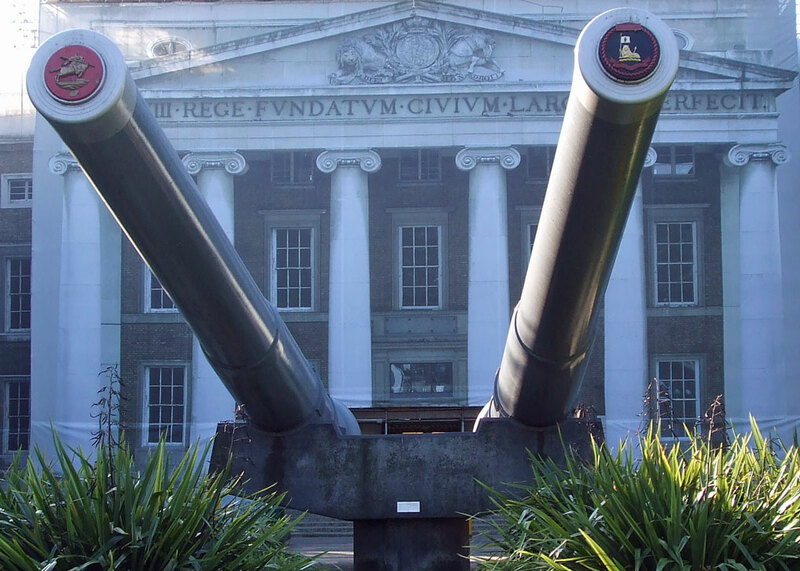 The entrance is a statement, dominated by two massive gun barrels pointing straight at you, with the classical lines of a 19th century cupola-topped former hospital in the background. The guns are 15” barrels from Royal Navy battleships, HMS Roberts (on your left – the guns were originally in HMS Resolution) and HMS Ramillies. Close-up, the size of these monsters, and their shells, are terrifying. The museum was founded as a national museum in 1917, to record the war effort, civilian and military, of Britain and its Empire during the First World War. It moved to its current location, the remaining section of one of the former homes of Bethlam Hospital (from which the word ‘bedlam’ is derived), in 1936. Some might observe that the site could not have been more appropriate. Since its foundation, the museum’s sphere of interest has expanded with every conflict that has involved British or Commonwealth forces, and many that have not. In 2011, the museum rebranded itself; the expression ‘imperial’ presumably being neither politically, nor, more importantly, factually, correct. Also, by then, there was no longer just one museum, but a family of five: IWM London (this one, which is also its HQ); HMS Belfast, the WW2 cruiser moored near London Bridge; Churchill War Rooms, the basement complex used by the Government during the Second World War; Duxford, a former RAF base in Cambridgeshire displaying an outstanding collection of historic aircraft and telling the story of aviation; and, finally IWM North, the Museum’s branch in Manchester. So the Imperial War Museum is now technically ‘Imperial War Museums’, but officially abbreviated to ‘IWM’. I’m surprised the rebranding took them so long and that ‘imperial’ was not dropped in favour of ‘national’ – though perhaps they thought that ‘imperial’ was part of the museum’s identity. Just outside the main entrance, there used to be a section of the Berlin Wall, taken from near the Brandenburg Gate. It is probably still there. What took my breath away the first time I visited the Imperial War Museum, and on every subsequent visit, though, was the astonishing large exhibits gallery. Here the IWM displayed some of the truly iconic war machines of the 20th century, including a Sopwith Camel, Supermarine Spitfire, P51 Mustang, Mark I tank, a V1 flying bomb, V2 rocket – and a London ‘bus used to transport troops up to the front in the First World War. There was also a Little Boy atomic bomb. I once had the pleasure of being guided round the Royal Armouries by the Assistant Royal Armourer (or something) and, in reply to my query as to whether the antique weapons in their collection still worked, he gazed at me witheringly and replied, “My dear boy, there would be little point in having them otherwise.” I just hope that the IWM sees things differently. In 2014, IWM London reopened following a £40 million refit. I haven’t visited since then, but I do know that the large exhibits gallery has been made larger and brighter, renamed ‘witnesses to war’ and includes a Harrier jet and a Land Rover damaged by rocket fire in Gaza, as well as the Spitfire, VI and V2. First World War Galleries – the story of the First World War through the lives of those who experienced it on the front line and at home. 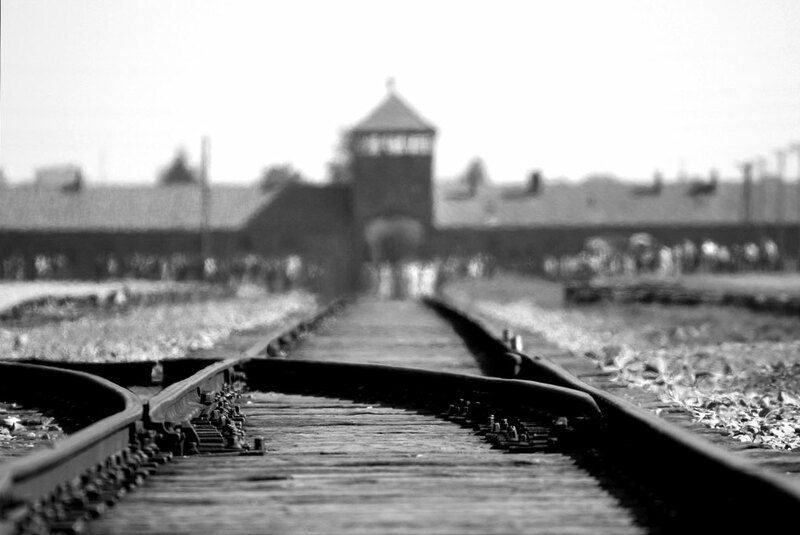 The Holocaust Exhibition – the Nazi persecution and murder of Europe’s Jews from 1933 to 1945. A Family in Wartime – the Second World War seen through the eyes of the Allpress family, who lived in Stockwell, London. Lord Ashcroft Gallery – the world’s largest collection of Victoria Crosses and a significant collection of George Crosses. Secret War – the undercover world of espionage, covert operations and the work of Britain’s Special Forces. Peace and Security: 1945 – 2014 – how conflicts have been fought and communities divided in places such as Kosovo, Iraq and Afghanistan. The Imperial War Museum has an enormous collection, ranging from enormous machines of war and pieces of portable equipment to seemingly mundane and innocuous objects. One thing that sticks in my mind is a melted bottle retrieved from Hiroshima; I believe a more recent acquisition is a suicide bomber’s vest. There is also some arresting artwork. IWM additionally holds a unique and important national archive of original source material, including letters, diaries, film and photographs. The stories of people’s experiences of war, from 1914 to the present, are told through all of these objects, large and small. And, because these stories are so close to us, they can have a personal impact that tales from longer ago cannot have. Few museums are simply repositories these days, but the Imperial War Museum appears to have a respected academic and expert reputation, which many museums might envy. Possibly, this has grown from its involvement in the highly successful ‘World at War’ TV series, made in the 1970s and still compelling viewing today, and possibly from the range, and nature, of the collection. If the IWM helps our understanding of man’s capacity for violence, and thereby contributes to a desire to avoid conflict in the future, then it can serve no higher purpose. A visit to the museum is in any event always fascinating, and certainly graphically demonstrates mankind’s capacity for ingenuity and creativity – not always in a perverted or destructive cause – as well communicating tales of humbling human endeavour that hopefully make the average visitor’s daily troubles seem trivial. 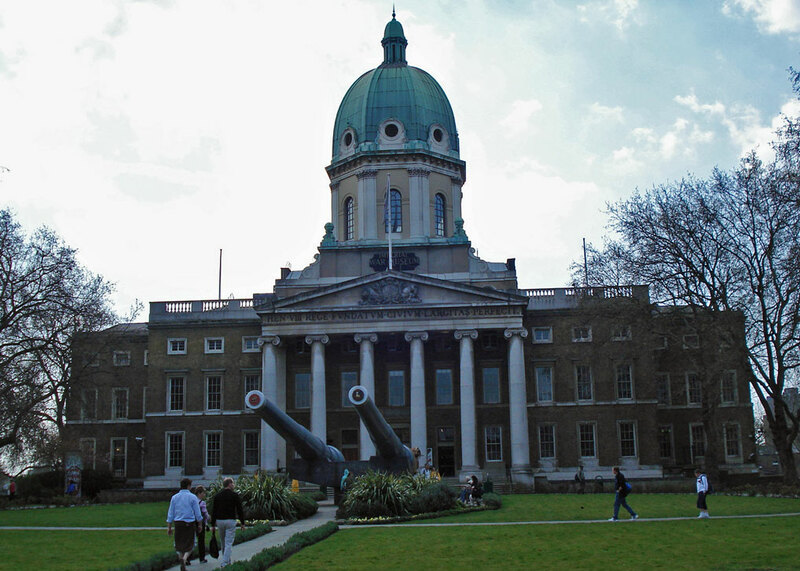 Check out the Imperial War Museum and other museums on A Bit About Britain’s attraction directory. It is on my bucket list. Dad was in the RAF in WW2 and I look forward to a visit some day. 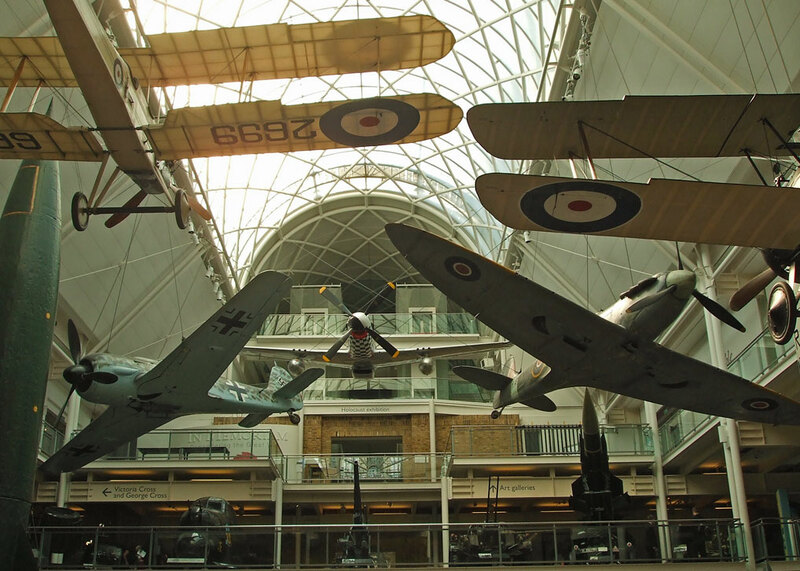 You’d probably enjoy the RAF Museum at Hendon and IWM Duxford – both superb. We have visited the IWM North (which is very interesting) but haven’t got around to any of the others yet. We’ve been meaning to go to IWM London for years! Fascinating post – thank-you! Excellent post. We just visited the Museum for the 2nd time last month. It’s worthy of many visits. We spent a lot of time in Lord Ashcroft’s Gallery all about the winners of the Victoria Cross and the section on spies. Could have spent the whole day there, such a fascinating place. Having visited ours in Ottawa and the Russian version in Moscow, I think The Great Dane would like to visit this one. I might even go along as well. Really must pay another visit. I last went in 2011, before the refurbishment you mention. I thought it was pretty good then. I am always thrilled at how good the “big museums” are. Even if one is not particularly interested in the subject of war (and I am not) there is so much to see and do. 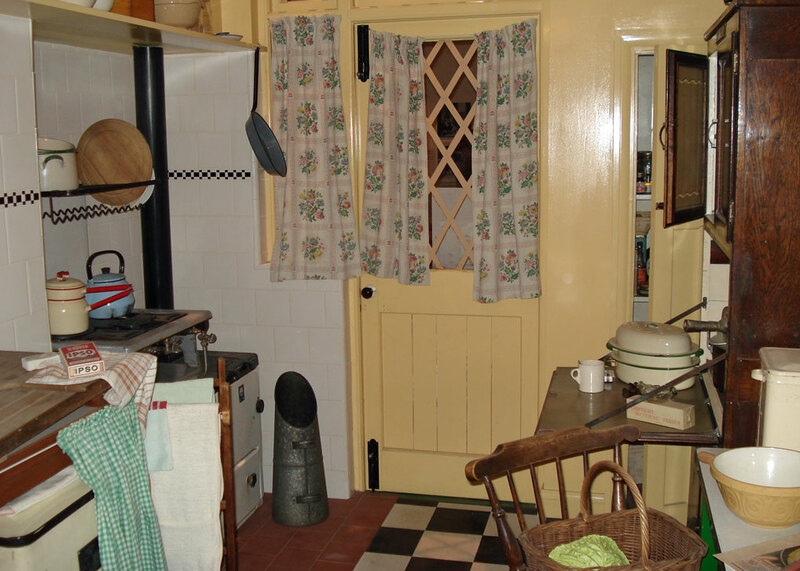 I love the interior of the prefab. The architectural style’s quite different from our national War Museum, but some of the concepts are followed. We’ve got a section of the Berlin Wall in ours too. Excellent post, Mike. I haven’t been to the IWM for may years. This enthusiastic and informative account of your recent visit has whetted my appetite. Thanks.